Today I’m going to tell you about an amazing castle from Europe that for sure you had hard of it. 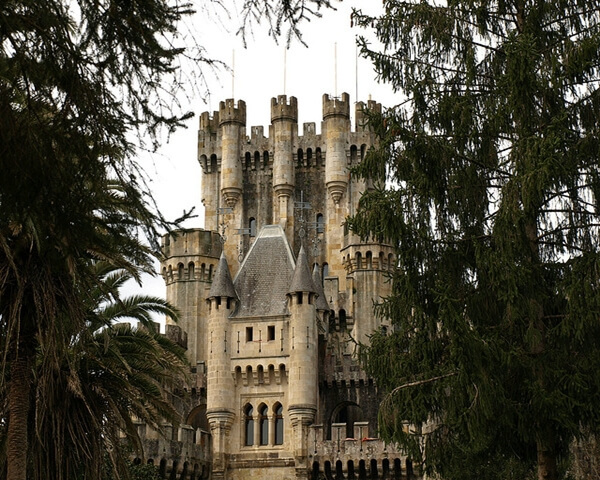 The Burton Castle is located in Province of Vizcaya, Spain which is a wonderful forest landscape. The architecture is based on a medieval building structured on a cylindrical towers foundation inspired by Gothic architecture, but the rest of the construction was rebuilt in 1878 in a Germanic style and to some extent, it has parallels with the nineteenth-century Bavarian castle. I have to mention that the Burton Castle was leaded by the Lords of Butrón which used it as their powerbase and ruled the surrounding area. From 1949 the Burdon castle is under the protection of the Vizcaya Provincial Council as a Spanish Historical Heritage site. Source for Burton Castle Spain. I’m extremely impressed together with your writing talents as well as with the structure in your blog. Is this a paid subject or did you customize it your self? Anyway keep up the excellent high quality writing, it is uncommon to look a great blog like this one today..
Hello, i think that i noticed you visited my site so i got here to “return the prefer”.I’m attempting to to find things to enhance my website!I guess its good enough to make use of a few of your ideas!! cMPspE Whats up, I?m I have been reading out some of your stories and i must say clever stuff. I will make sure to bookmark your site.